We returned to Magic late last march and have been on the boat almost continuously since then. We spent four months in the Tuamotus in the middle of last year, and have been in the Society islands otherwise (for a day-by-day account of our activities, see the Diaries section). It’s been a wonderful time and we love living on the boat here, exploring the area and diving, kiting, and surfing. More recently, though, I’ve been learning about the fate of the corals here. Back in october the IPCC released a report projecting that, worldwide, coral reef cover will decline by 70-90% if the world warms this century by 1.5°C relative to preindustrial times, and by 99% if the warming is 2°C. Neither of these targets will be easy to reach: emission rates continue to increase, and if they follow this business-as-usual trajectory the planet is projected to warm to about 4.3°C above preindustrial times this century. Reading these projections for coral reefs was shocking, especially seeing how healthy the reefs in French Polynesia currently are. I couldn’t find a good resource explaining these projections, so I did some research and built a website. Long story short, if emissions continue on this trajectory then by 2053 (when I will turn 70) 89% of reefs are expected to bleach severely every year, with the rest not far behind. It’s hard to imagine them surviving such conditions. coral.wiki is, in part, designed for people like the person I was a few months ago, who are interested in the science of how climate change will affect corals but who lack a background in the related areas. Additionally, though, I’m interested in what can be done about this. Reducing emissions would be great and eventually it has to happen if the planet is going to remain habitable, but I doubt that it will happen fast enough to make a big difference for coral reefs. 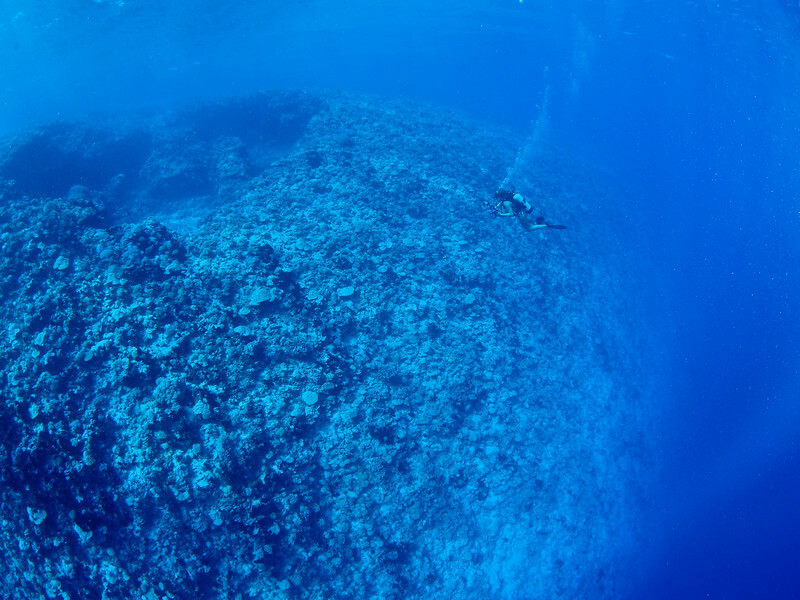 If business-as-usual emissions continue, what options are there to help preserve these reefs, even at a small scale? There has been some research done in this direction, but not that much. This is a problem that really interests me, not just because of its importance but because it seems tractable. Coral reefs are largely self contained ecosystems, and preserving a single reef means maintaining suitable environmental conditions (temperature / pH) for the corals living there. This is easier said than done, but it can be done, and can be made more efficient and scaled up. I’m going to start working on this problem and seeing what I can do, and will be using coral.wiki to track this work. Right now this is a hobby, but it’s also something of an obsession. While I don’t know where this work will go, I don’t expect to give up on it.